Hank Grant, born Feb. 22, 1971, in Jonesboro, Arkansas was the youngest of three with two older sisters (Theresa and Tabatha). When Hank was twelve, his mother bought an organ for the family home. Her love of music and family, brought hours and love, entertainment and family together. Singing and playing in the evenings after dinner...or just gathering in the family room on a weekend afternoon to reminisce and harmonize at the request of anyone in the family. A prodigy was in the making. Hank became interested and started learning songs from the radio. Playing endless hours on the second hand organ, he began playing the songs he loved by ear...note by note until he got it just right. It wasn't long until he was playing standard holiday songs for the family, and even in the family Church. He was even honored when asked by his sister to play the wedding march in her wedding. Hank attended RedRock Public Schools (RedRock, OK) from the second grade until he graduated in 1989. Throughout junior high school he developed a close relationship with his FFA advisor, Mr. Phillip Fuss, (and former Music Instructor as well). Fuss heard Hank sing and decided that he would mentor him and entered him in many public speaking events, all the time envisioning Hank on a stage in front of hundreds or thousands of fans. Mr. Fuss took Hank to a music store and asked him to pick out a musical track. Hank picked ""Smokey Mountain Rain"", by Ronnie Milsap. Mr. Fuss said, ""Well, you need to start practicing, because you are going to perform it live, in front of an audience."" And he did. His first performance was in front of his junior high school classmates and faculty, and admittedly, he was ""so scared"". However, his performance went so well that he was, in his own words, ""addicted"". He began performing at all kinds of school activities such as basketball games, football games, and other events, while taking the most pride in being asked to sing the National Anthem. It was during this time that he began entering local vocal contests, where he soon earned statewide recognition for his performance of ""God Bless the U.S.A."", by Lee Greenwood. Hank's senior year, he enlisted in the Oklahoma Army National Guard. The same year, his mother and stepfather divorced. Marsha moved she and the family to Billings, Oklahoma. Hank's mom and stepfather (John Pemberton), found themselves purchasing the bar in which they had met. It was named Doolie's Bar and Grill. Soon thereafter, they decided to buy Hank a karaoke machine, and sound equipment and began booking him to sing in the bar as a one man show. Hank joined up with Donnie McKeown who played guitar and took a liking to Hank. 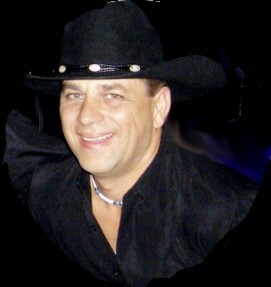 With McKeown's help, Hank formed a band in 1992 called Wild West. They found themselves being invited to gigs all over Oklahoma. 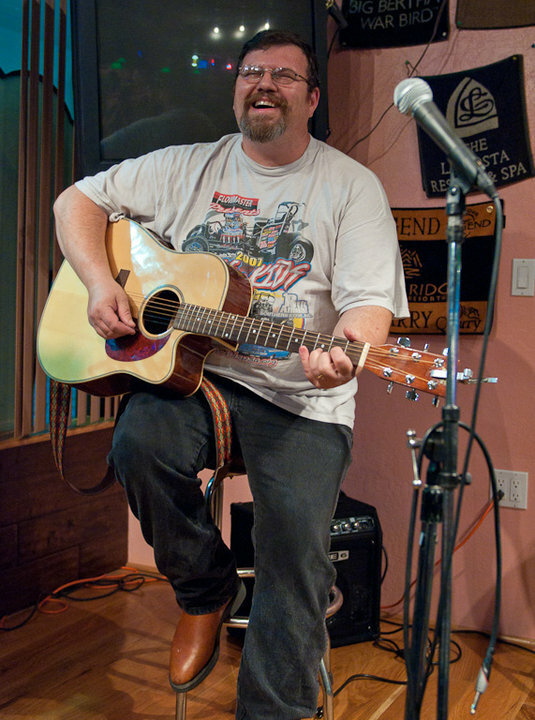 He and (wife) Amy moved to Nashville in 1994 so he could pursue his music career. He and Amy married in 1995 and had a son together (Christian). The same year, the family was given word that Hank's oldest son, Andrew, would have to undergo a (successful) liver transplant, at the age of 3. After an emotional and trying year, and with, in Hank's words, ""all of the slamming doors in Nashville"", he and Amy moved back to Oklahoma in 1996. He, again, went back to the one-man show at his mother's bar. That year, with the fire and hunger in his veins and soul to sing and perform, Hank entered the Jimmy Dean Country Showdown, and won, advancing to the state level of competition, where he was ultimately eliminated. Frustrated, he searched. For identity and purpose. In 1997, he decided to pursue his second passion, law enforcement. Putting his music on hold somewhat, Hank found himself sworn in as a police officer in the City of Hennessey (OK). Prospering in job and family, it was 1999 that things began to rapidly happen, yet once again. He saw his second marriage dissolve, but also found himself as a single parent having sole custody of his two elder sons, Andrew and Brady, from the previous marriage. An officer until the year 2004, Hank's life, again, began to become riddled with challenges. He lost his life-long friend Charles Fink, to suicide, only to be followed by his mother's passing away just two months later. The positive? While working as a police officer in Hennessey, Hank met songwriter, Bill Hail. With Hail mentoring Hank in the ability to song write, the two soon found themselves teamed up with Hail's friend, and fellow co-writer, Dave Younger. Leaving law enforcement, Hank set out on a new beginning. Aimlessly somewhat, but providing for his children, and searching for the will in which God, and his mother, had blessed him. He began welding in the oil fields of Texas and Oklahoma, perhaps refining a new trade that would provide him a bus ticket to his new destiny and home. Now a single parent, with nothing to lose, it was 2005 when Nashville called his name, once again. He made the journey to the city and established his own welding business as backup and income. With an army of songs that he, Hail and Younger had written, he teamed up with other great songwriters in Nashville such as Craig Wiseman, Hank Cochran, Mark Dreyer, Jerry Earl Laseter, Timothy Don Johnson, and James Dean Hicks. With Hail willing to invest, Hank went into the studio to record his first album ""Bible and a Bus Ticket Home"", produced by Dreyer and Hail. With the new album at hand, Hank finds himself performing locally around the Nashville country music scene. He has teamed up with his best friend, become manager, Monty Bailey (mbentertainment), an endeavor that Bailey considers, ""an honor"". (Quote by: Monty Bailey) ""The first time I heard this guy sing was a little over two years ago, and I think he had barely hit town at the time"", said Bailey. By the time he sang the second verse of his song I was hooked!"" (laughs). ""He walked off the stage and I said, I gotta meet this guy."" The rest is history. It's no secret that Hank and his mother, Marsha, had a very close relationship. Mother and son. Best friends. As he performs his title cut, ""A Bible and a Bus Ticket Home"", there is certainly reminiscence of the first day he left home in RedRock, Oklahoma and all that is beheld since that day. God Bless our troops. God Bless America. God Bless Mama. 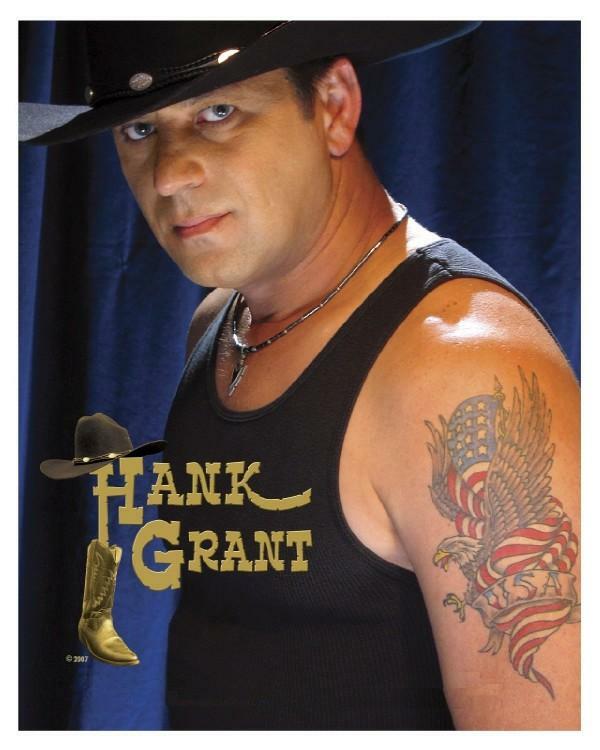 Hank Grant is a Solo Artist. Bible and A Bus Ticket is a very moving and wonderful song. Thank you for sharing this with all of us!! We have something in common too...I won a couple of contests singin God Bless the USA. As a vet, this song meant alot to me. Anyway, awesome music brother!! Keep up the great work! * Your song 'Sounds Of Freedom ' has just been added to Eagle Dreams station! * Your song 'A Bible & A Bus Ticket Home' has just been added to Eagle Dreams station! * Your song 'Sounds Of Freedom ' has just been added to Bob Dylan Tribute station! * Your song 'Sounds Of Freedom ' has just been added to What the Folk! station! * Your song 'Sounds Of Freedom ' has just been added to Back to the Shack station! * Your song 'A Bible & A Bus Ticket Home' has just been added to Back to the Shack station! * Your song 'A Bible & A Bus Ticket Home' has just been added to What the Folk! station! * Your song 'Sounds Of Freedom ' has just been added to Sunshine Coast station! * Your song 'Sounds Of Freedom ' has just been added to Voodoo Central station! * Your song 'A Bible & A Bus Ticket Home' has just been added to Voodoo Central station! * Your song 'A Bible & A Bus Ticket Home' has just been added to CMM RECORDS ON LINE station! * Your song 'Sounds Of Freedom ' has just been added to LEGENDARY COUNTRY MUSIC station! * Your song 'What I Wouldn't Give' has just been added to KIAC Wave Country station! * Your song 'What I Wouldn't Give' has just been added to IAC BEST COUNTRY station! * Your song 'What I Wouldn't Give' has just been added to The Good Stuff Country-Ed Bentley station! * Your song 'What I Wouldn't Give' has just been added to Bonanza station! * Your song 'What I Wouldn't Give' has just been added to KczxOnline station! * Your song 'What I Wouldn't Give' has just been added to WHERE THE MIGHTY RIVERS MEET station! * Your song 'Sounds Of Freedom ' has just been added to XNWY Kickinghorse Country Radio station! 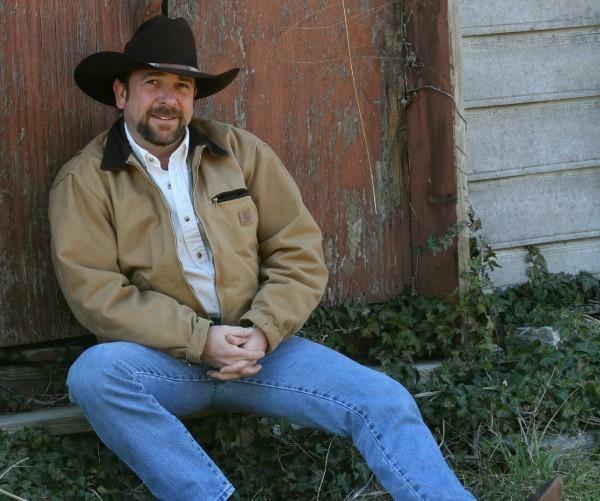 IAC Your song 'What I Wouldn't Give' has just been added to XNWY Kickinghorse Country Radio station!